bty I am a 70 graduate. Grace is a graduate of both 70 and 71. However, her record and photo only shown on 70. We should have added her name to our graduation list. 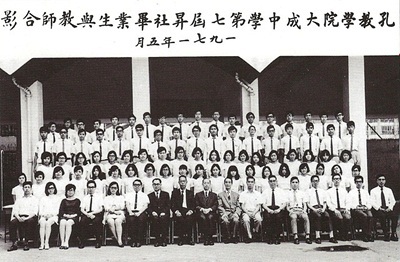 I was a 1961 Tsung Tsin College (Tai Po Rd, Kln) graduate. Can anyone of you please update his info to me through my email address. Thank you. I was graduated at the same year as 郭漢光 and is looking for him. Can u help to inform him to send me an email?